Lord of the Rings Scenic Explorer, Auckland, New Zealand. Book at New Zealand Sky. 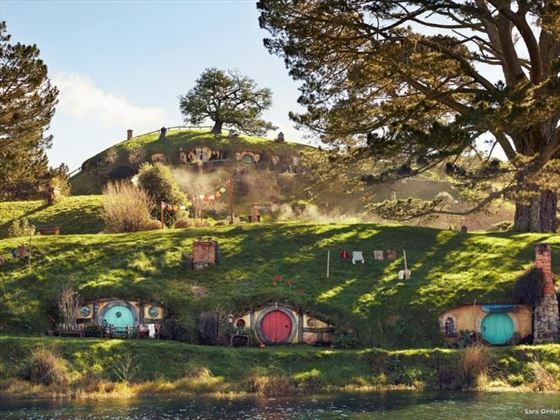 Witness the remarkable filming locations of Peter Jackson’s Lord of the Rings and Hobbit trilogies on this epic 13 night self-drive tour around beautiful New Zealand. 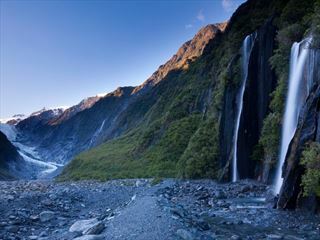 Pick up your car and delve into soaring mountain ranges and sweeping prairies as you make your way through the country’s best Middle Earth sceneries, including bird’s-eye-views of Isengard and Lothlorien and a kayak down the same river as the Hobbit Barrel Run scene. 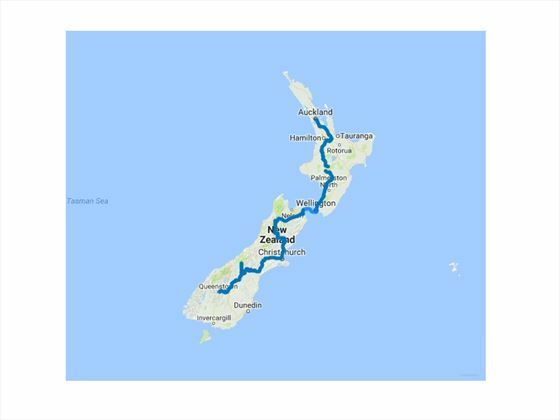 Incredible views and exciting adventures await you on this fantastic tour inspired by the iconic films (NZ). 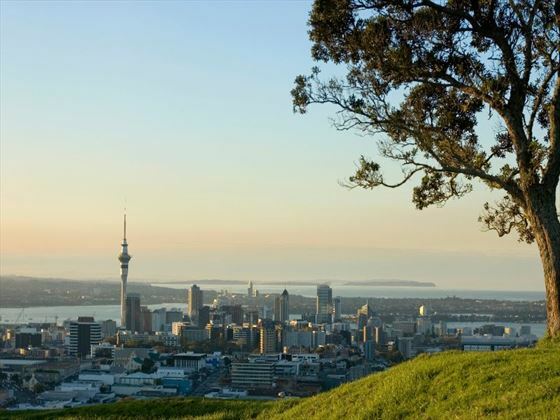 Arrive into Auckland City and transfer to your accommodation for a day of leisure. Relax in your modern apartment or head out into downtown Auckland – Queens Street is a busy hub of popular shops and delicious gourmet restaurants, or Auckland Waterfront graces visitors with beautiful views of the city skyline and Auckland Sky Tower. Collect your rental car before exploring more of what Auckland has to offer. There are plenty of things to do in the city, from heading up the towering Sky Tower and delving into Auckland Art Gallery, to experiencing peaceful, scenic cruises around the harbour and climbing up Auckland Harbour Bridge to see spectacular views of the city. 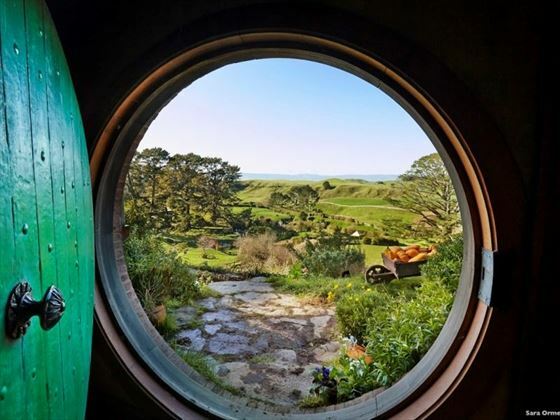 Engross yourself in the magic of Middle Earth with a two hour tour of the Hobbiton Movie Set, which takes you through the picturesque Shire and towards Hobbit Holes, The Green Dragon Inn and Bag End. Afterwards you can rest your head in your own Hobbit House, a hobbit motel adopting the charismatic décor used in the Lord of the Rings films. During your drive to your next accommodation take a slight detour to Piopio, home to a fantastic Hairy Feet scenic film location tour. Here you’ll explore the lush forest and soaring limestone cliffs of Mangaotaki Valley, well-known as the setting for Trollshaws Forest in The Hobbit: Unexpected Journey. Don’t forget to take a photo at the exact spot Gandalf bestowed Bilbo with the mighty sword, Sting, and discover the landscape where malicious orcs and wargs attacked. Once in Wellington you are free to visit the entrancing Weta Cave, a mini museum for where many of the Lord of the Rings props were created. Perfect for film enthusiasts, Weta Cave is a hub of authentic movie prop replicas and collectibles. Look out for the terrifying, life-size model of Lurtz and the towering trolls awaiting you outside, and watch an exclusive video featuring an interview with Peter Jackson himself. The Weta Cave is free, but you can pay extra to explore the enthralling Standard Weta Workshop Tour – taking you through the makings of many film props and introducing you to the team who produced them. In the morning you are free to explore Wellington’s vast range of stunning Lord of the Rings locations. Wander through the luscious forest leading up to Mount Victoria, which provided the striking scenery for Hobbiton Woods and the hobbit’s hiding place from evil Black Riders. You might even wish to explore Rivendell, the spectacular, woodland landscape otherwise known as Kaitoke Regional Park, or saunter to Harcourt Park to see the enchanting location for Gardens of Isengard. 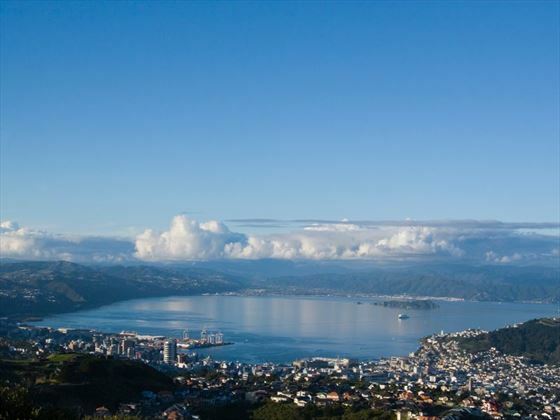 After experiencing these epic sceneries, you may desire heading back and seeing the city centre of Wellington itself. A vibrant, bustling city, Wellington has an abundance of activities to fill out your afternoon, including the busy shopping hub of Cuba Street, and the charming Wellington waterfront with plenty of space to cycle, kayak or even paddle board. 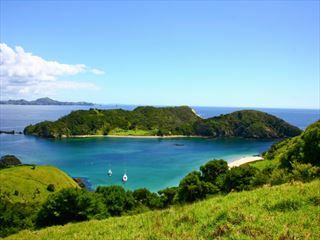 Spend a day off-land today, starting with a scenic interisland ferry to Picton; known as one of the most picturesque ferry rides in the road, before heading to the winding waters and rugged riverbanks of Pelorus River. Bilbo and Thorin’s dwarves tumbled their way down this impressive river during the Hobbit Barrel Run scene, and you can too with a riveting kayak tour along its windy path. An experienced guide will entice you with inside information of the filming process for this exciting scene, and you’ll even see the location where Kili was shot, and drink the 10,000 year old natural spring water that flows through the mountainous landscape. 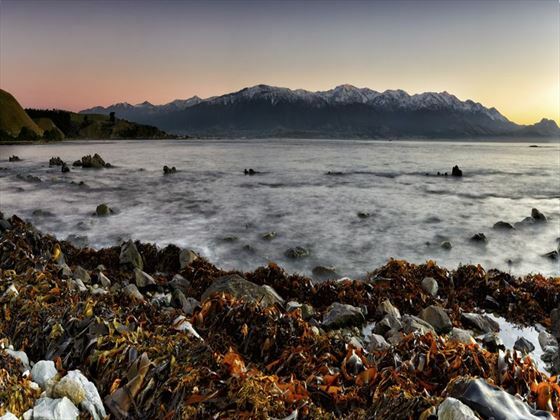 As you drive along the Pacific Ocean coastline you may want to leave enough time to stop off at Kaikoura, a delightful town that is home to an abundance of marine wildlife. Situated on a rugged peninsula, this coastal spot will reward you with beautiful sea views, a variety of marine life encounters including fur seals and dolphins, and a small village that is rich in history. Today you can fully immerse yourself in Middle Earth with a Lord of the Rings Edoras Tour, which leads you through the filming location for Edoras, the hill-top capital of the vast Rohan kingdom. Outside of the films Edoras is known as Mount Sunday, a small hill surrounded by stunning backdrops of the Southern Alps. Although no longer bordered by the Golden Hall and gatehouse, this exquisite spot is a keen favourite with travellers. Explore this fantastic tour and stand on the summit of Edoras, and check out the inspiring behind the scenes photos of the capital’s construction. 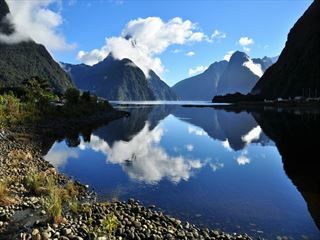 Drive through the majestic environments of Canterbury and the MacKenzie Countries on the way to your next accommodation. This route is an awe-inspiring one, twisting you through verdant prairies, glistening glacier-fed lakes, and soaring mountains blanketed by snow. Venture into the lively destination of Queenstown, and if you have time book a flight above captivating Middle Earth locations in a Glacier Southern Lakes helicopter. Admire the panoramic birds-eye-views of Isengard and Lothlorien, and search for the sensational landscapes used for sweeping shots of Middle Earth in the films. 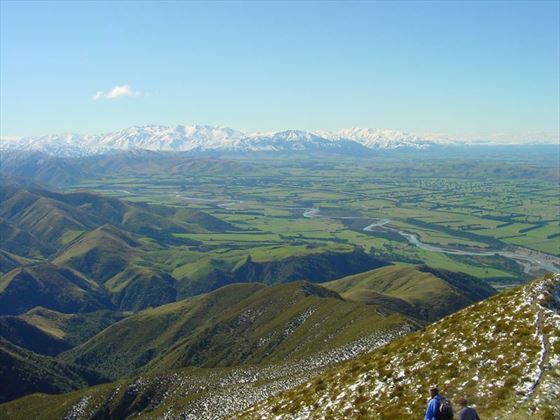 Start the day with an exhilarating Nomad Safari of the Scenes 4WD tour, leading you through various eye-catching film locations used in both trilogies, including the shadowy depths of Isengard and the alluring Lothlorien Forest. The Nomad safaris even have authentic replica props, and help you discover exciting insights in to the filming undertaken in these vast areas. In the afternoon you’re free to explore more of Queenstown; a vibrant hub of stunning scenes, great shopping and fantastic landmarks. 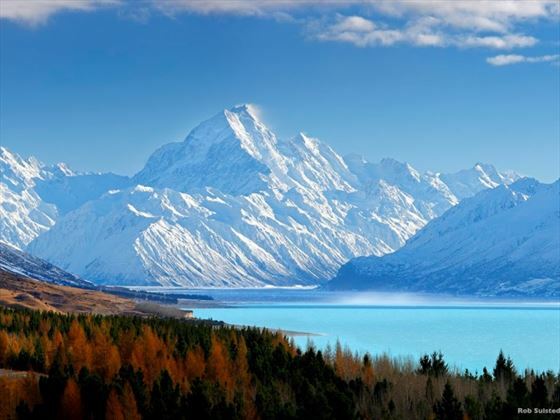 Add to your scenic self-drive holiday with sensational views of gigantic mountains and the shimmering Great Barrier Reef on a skyline gondola at Bob’s Peak, or meander through Queenstown Gardens to explore Lake Wakatipu and play a round of Frisbee golf. Bright green prairies, epic, jagged mountain skylines and clear blue glacier lakes can be found at Paradise and Mount Aspiring National Park. Take a day tour through their incredible surroundings and you’ll even find Arcadia Station, the location of the all-powerful skin-changer Beorn’s house. There’s plenty of hiking trails around the impressive land of Mount Aspiring National Park to explore, too.